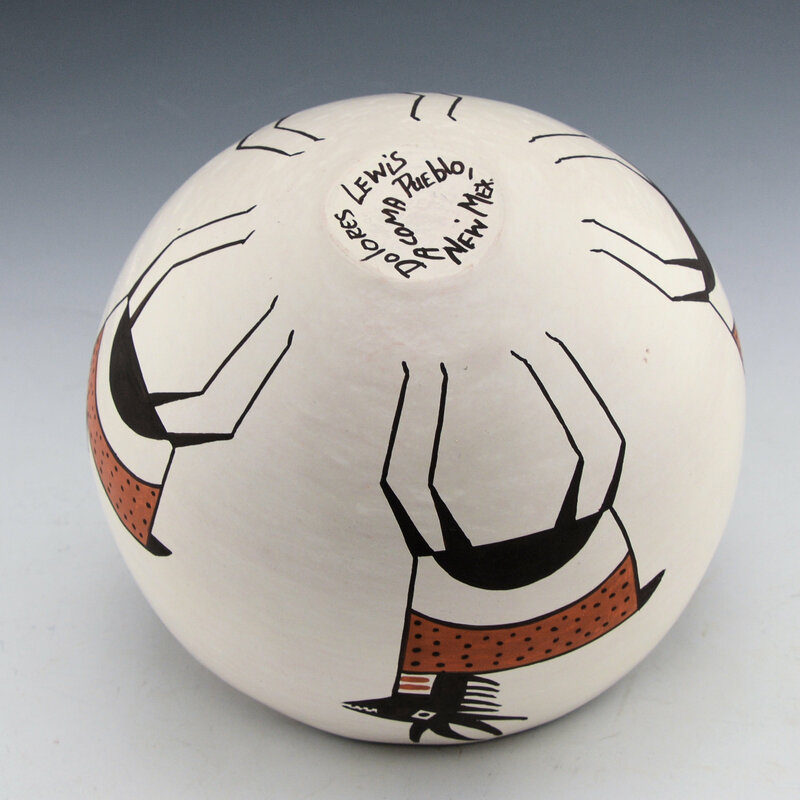 Dolores Lewis is a daughter of renowned potter Lucy M. Lewis. 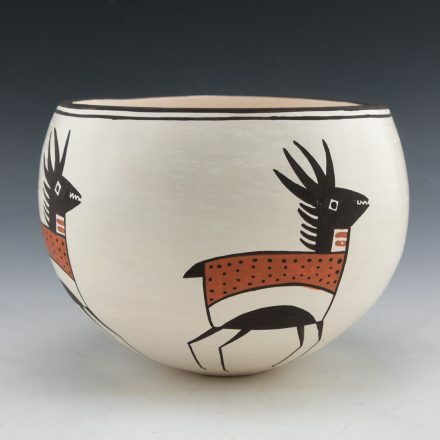 Dolores is known for use of classic Acoma and Mimbres designs in her pottery. This bowl is a round shape with high sides. It is painted with four antelope encircling the bowl. Each antelope is perfectly painted with red bodies and white bellies. 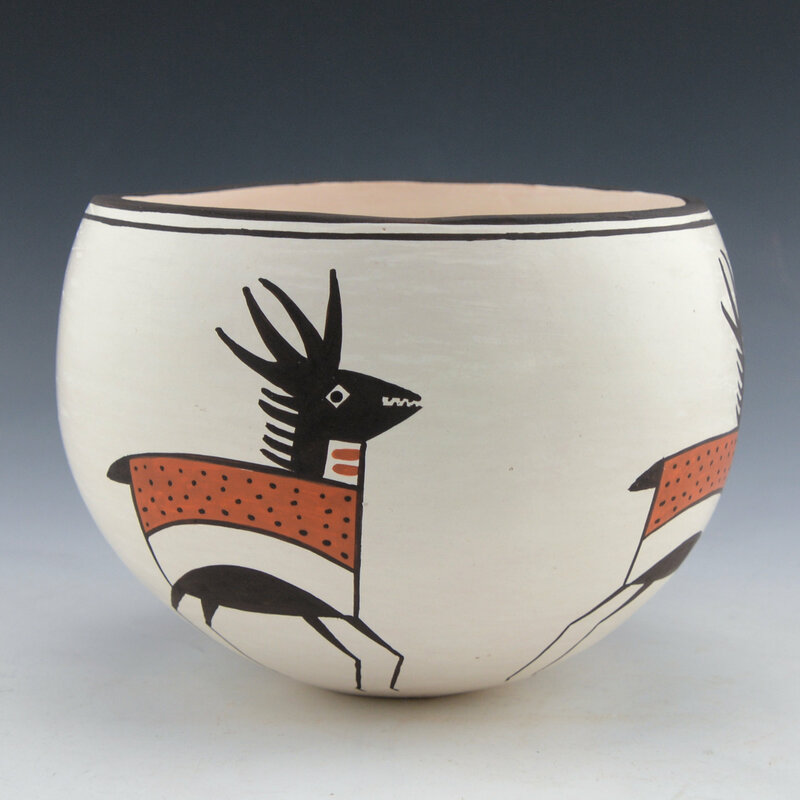 It is imagery inspired by the Mimbres pottery of the 1100s. This bowl is signed on the bottom in the clay, “Dolores Lewis” and it is in excellent condition with no chips, cracks, restoration or repair. 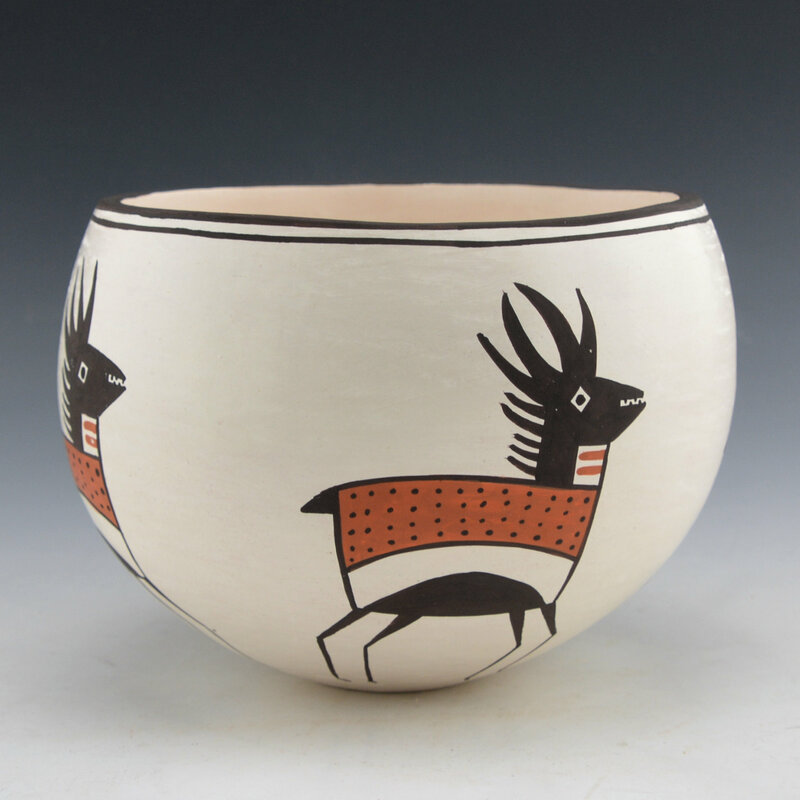 While Dolores makes little pottery today, work remains some of the classic traditional pottery of Acoma Pueblo.